Bedroom is that one corner of your home where you look forward to relax. It should be comfortable and relaxing enough to help you take a break from your hectic schedule. Whether it is the interiors, shades, furniture or even the lights; everything should be perfectly arranged to render a calm and serene ambience. But how to come up with a warm and comfortable space, that is both indulgent and yet incredibly functional? Well, we’ve figured out your answers and come up with some of the best master bedroom ideas that’ll transform your bedroom from the room where you sleep to the most favorite corner of your home. Check out these guidelines for the perfectly personalized space that you always craved for. As we mentioned earlier, your bedroom shouldn’t merely be the space where you sleep. But it should be a space where you feel like spending your time. This is exactly why you should go for a specific seating area in your room. This area will hold a perfect function as it’ll satisfy you when you’re not really looking out to spend your entire day on bed. If you’re into reading books, place a cozy armchair by your bed. Again, if you love spending most of your time watching TV, add a daybed to your room for stretching out. Most of the times, people literally struggle with the minimal storage space in their rooms. One of the best ways to handle that issue is by incorporating a classy and elegant storage solution to your décor. Take your bedroom design ideas to the next level, by investing in a built-in closet. These closets can be customized according to your need. Again, if you have a tad bit of space crunch then open shelving and foot trunks too can work wonders. 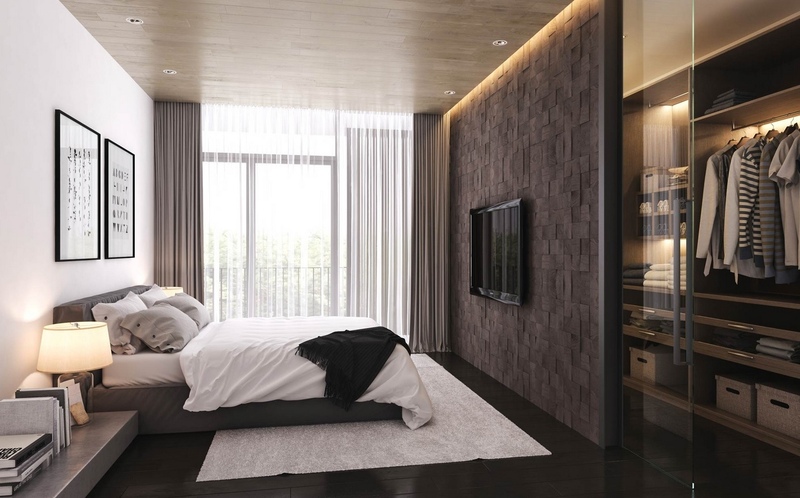 Elegant wall arts are extremely vital for any and every space, and your bedrooms too aren’t an exception. You can add a wall art to your seating and dressing space for some amount of visual interest. Try this on any other wall that looks pretty much blank. While browsing through these wall arts, try to go for art with more variety. Play with the different colors, frame styles and textures to come up with something incredibly unique and out of the box. 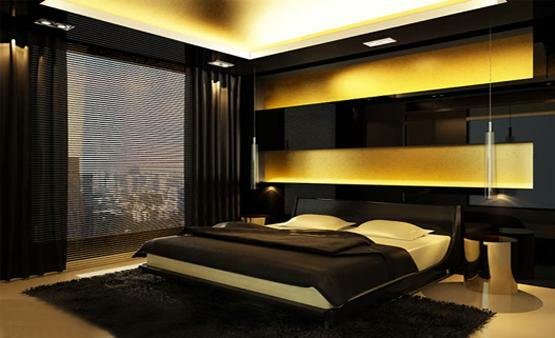 In most cases, you will observe that the bedrooms are more of neutral spaces. They are a particularly calming zone with neutral walls, bedding and even accents. But there’s absolutely no harm in experimenting with your accents. No. They don’t look out of place at all, and rather add a more balanced and composed design to your bedrooms. Don’t overlook the different kinds of prints and patterns. Make it a point to invest in things that reflect a part of you that reflects your personality. It is only then when you’ll come up with a room that is not only incredibly snuggly and comfortable, but also equally stylish and elegant.